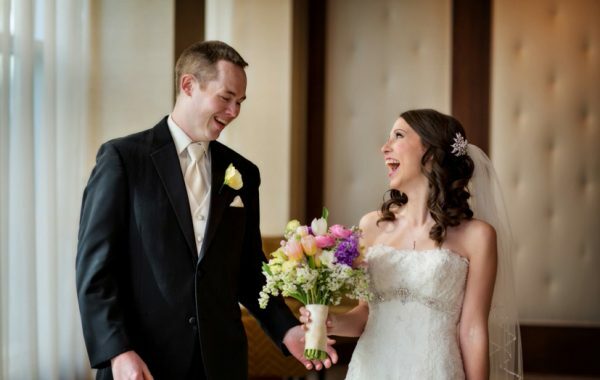 You don’t have to pick just one style when it comes to planning your wedding day. 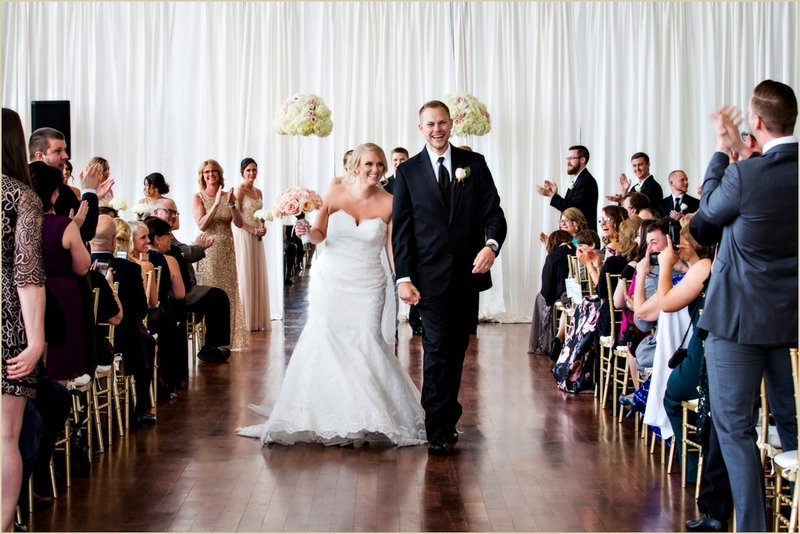 More and more often, couples are mixing different themes and looks to make their wedding celebration perfectly unique to their vision. 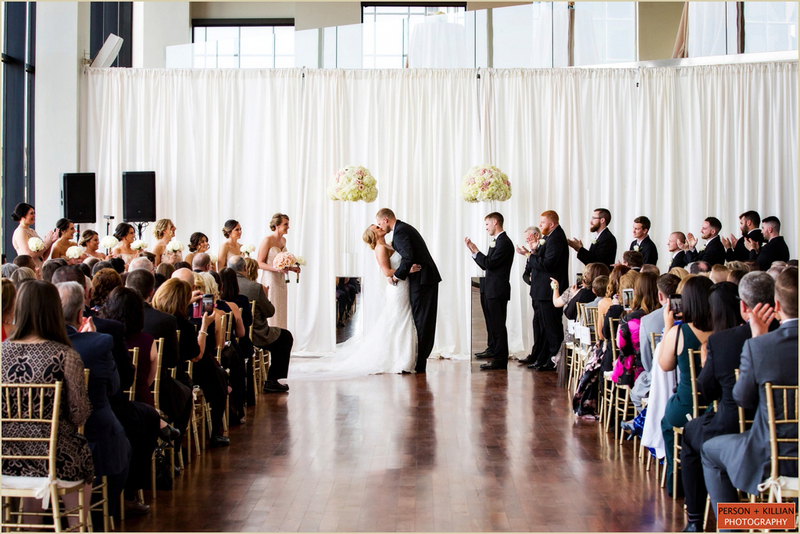 You might think that “traditional” and “modern” wouldn’t work together, but we love seeing how brides and grooms are taking their favorite elements from different styles and blending them together. 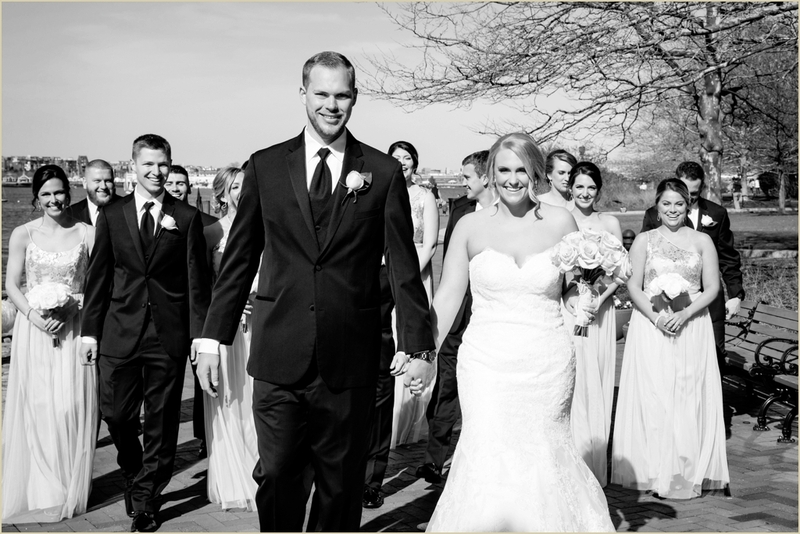 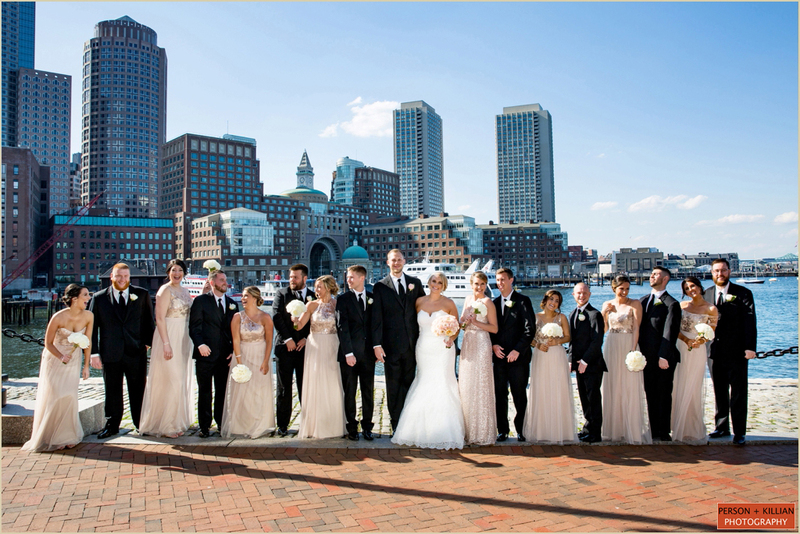 This is exactly how bride Erika described her vision for her wedding day — “a blend of modern with traditional elements”. 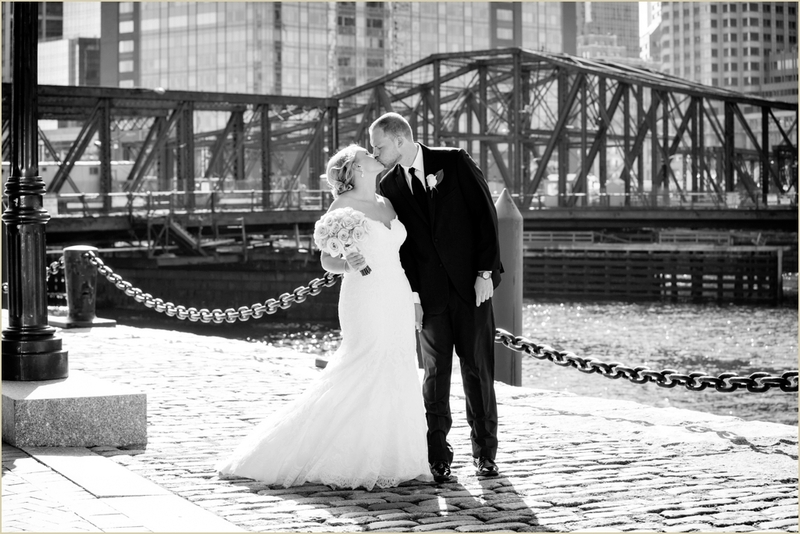 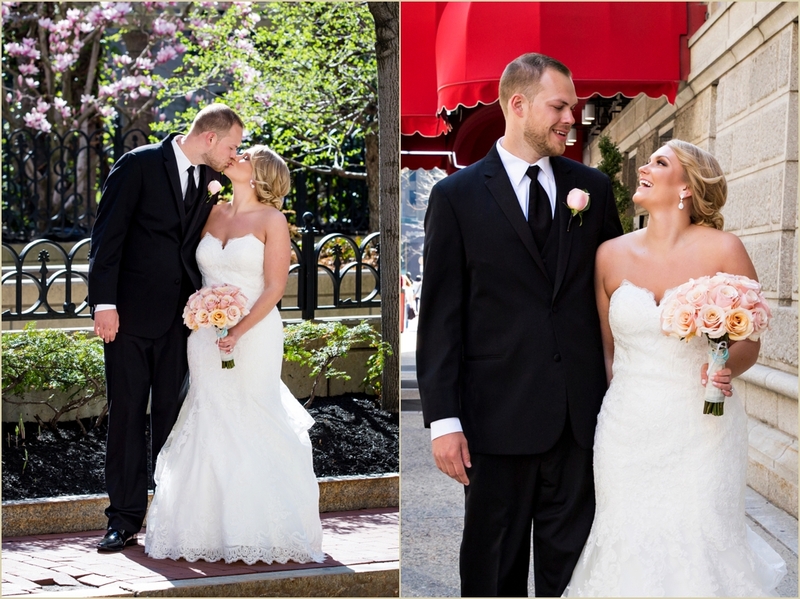 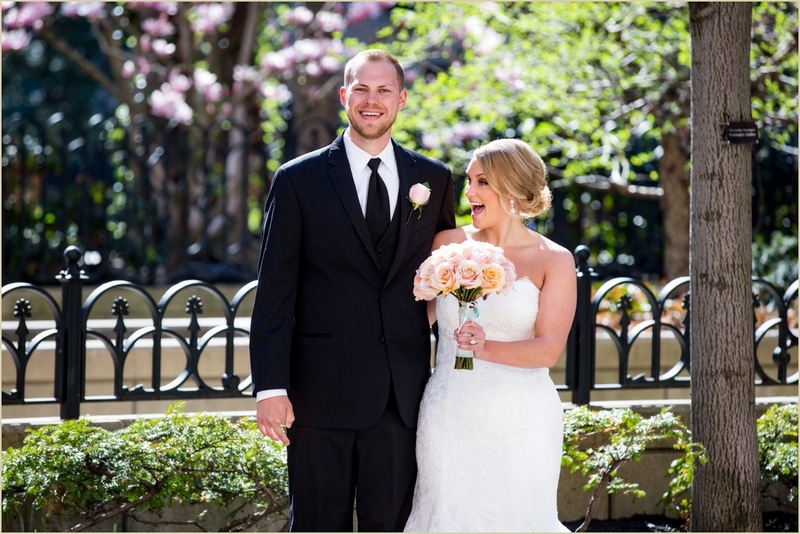 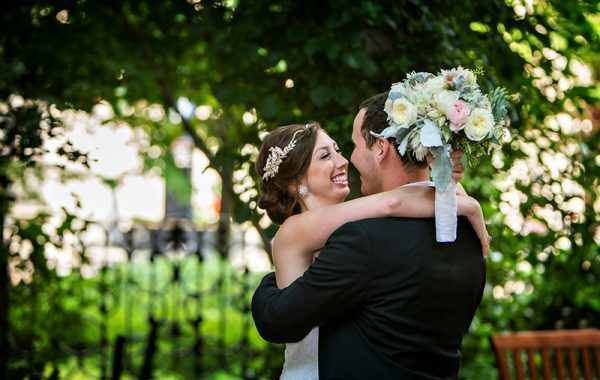 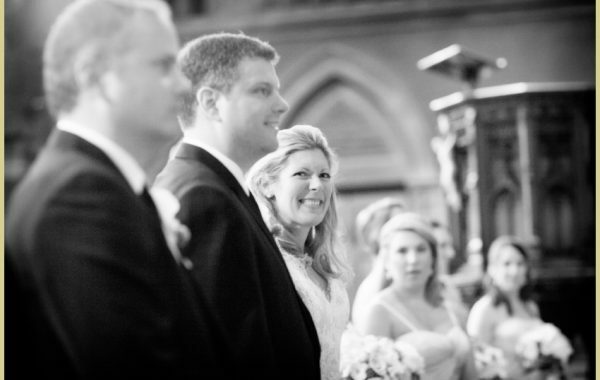 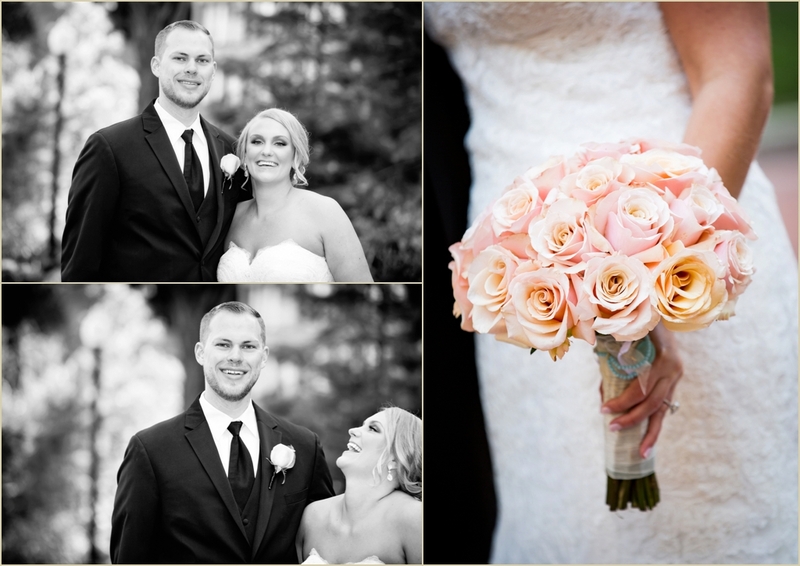 Erika and her groom Jimmy started their wedding day at The Langham Boston. 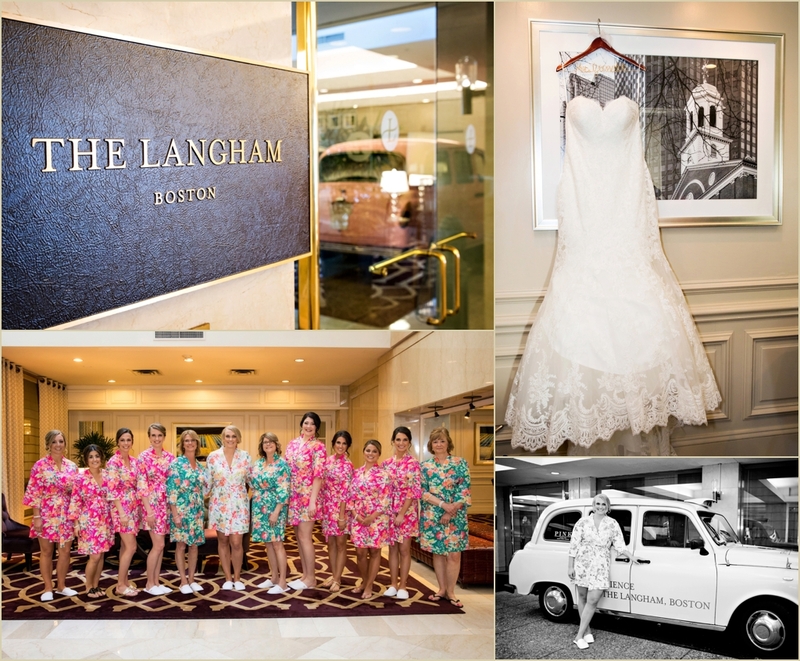 The ladies got prepped and pampered in bright and colorful floral robes before changing into their dresses — a strapless sweetheart gown for Erika and champagne bridesmaid dresses for her bridal party. 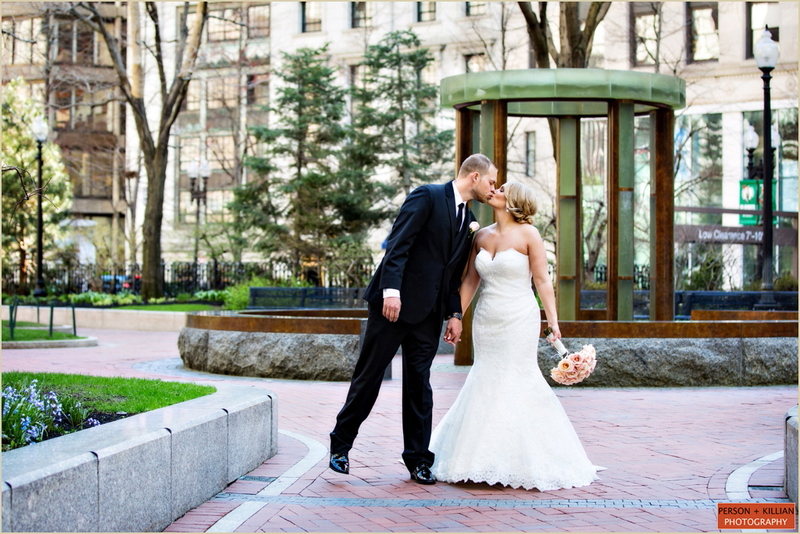 It was a quick walk across the street to Post Office Square where Erika and Jimmy met for their first look. 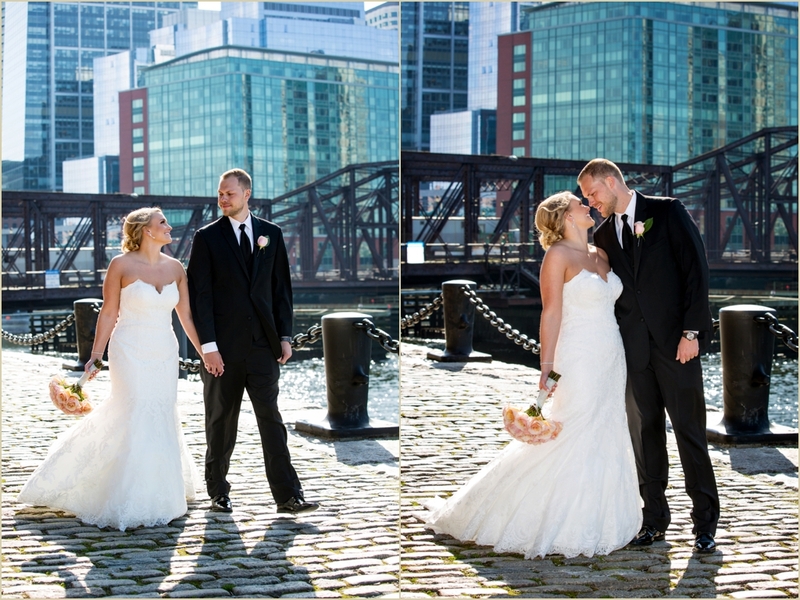 We took some formal photos of the entire wedding party and some solo shots with just the bride and groom at Post Office Square before hopping in a trolley and driving to the Seaport area for photos overlooking the Boston Harbor and city skyline. 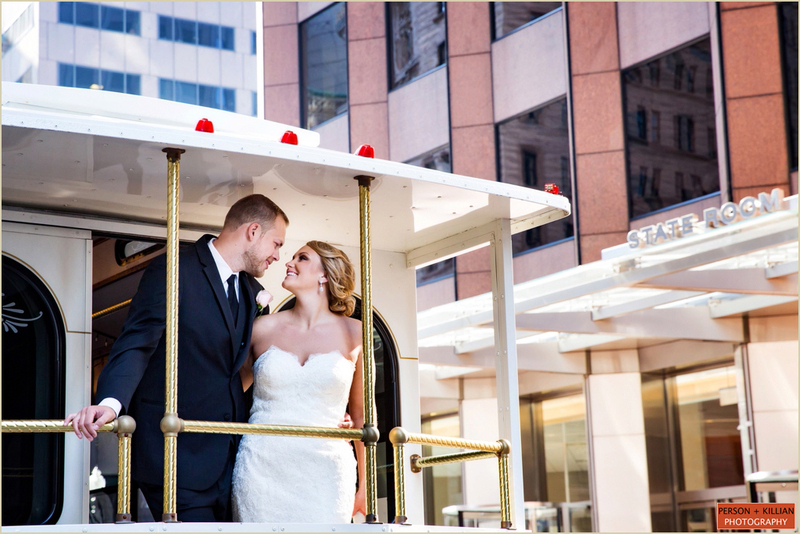 Then it was back onto the trolley and off to the State Room for the wedding to begin. 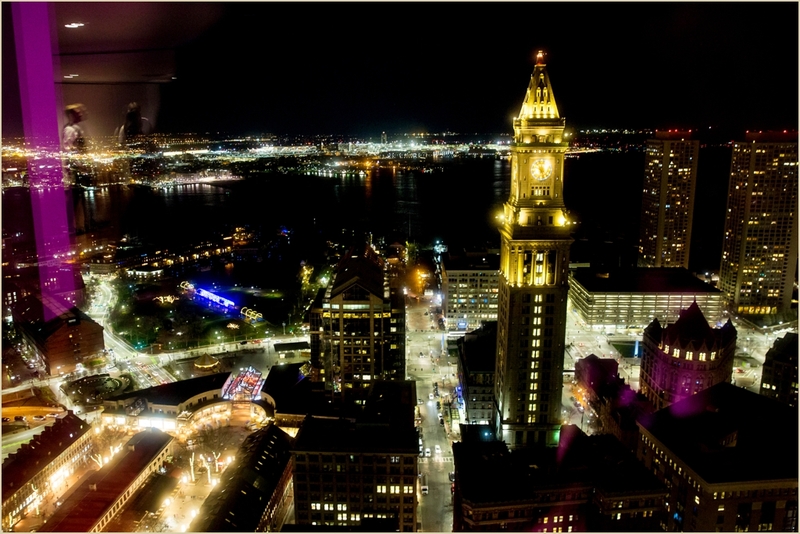 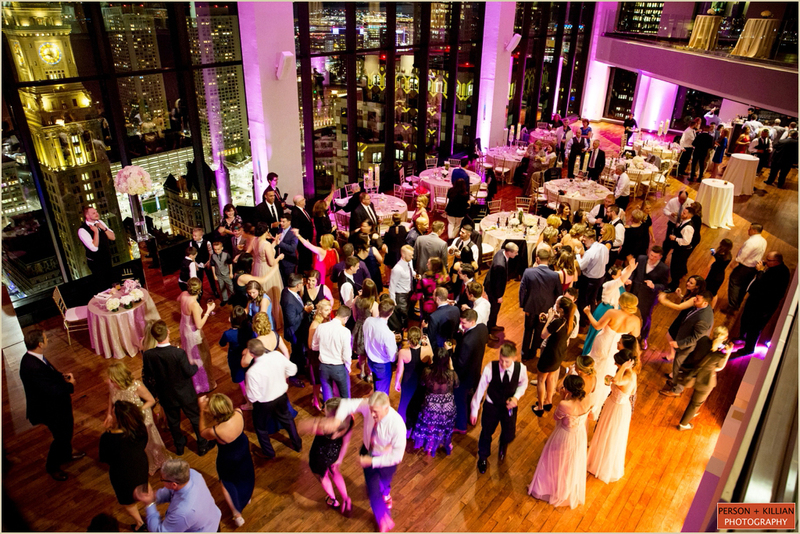 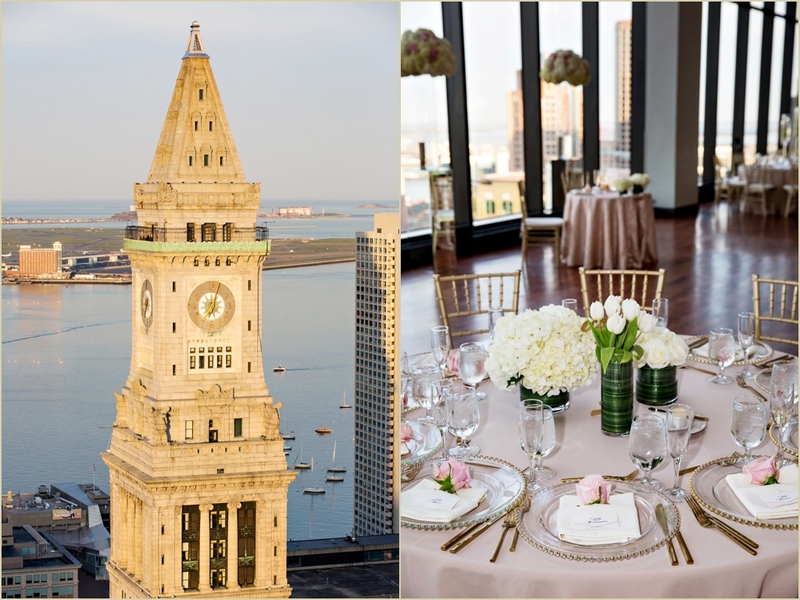 For a wedding mixing both traditional and modern elements, the State Room Boston was the perfect fit. 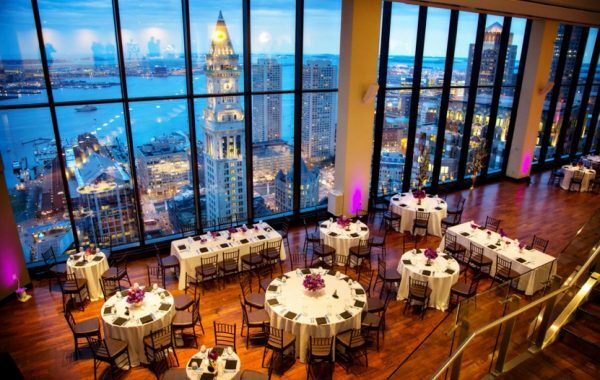 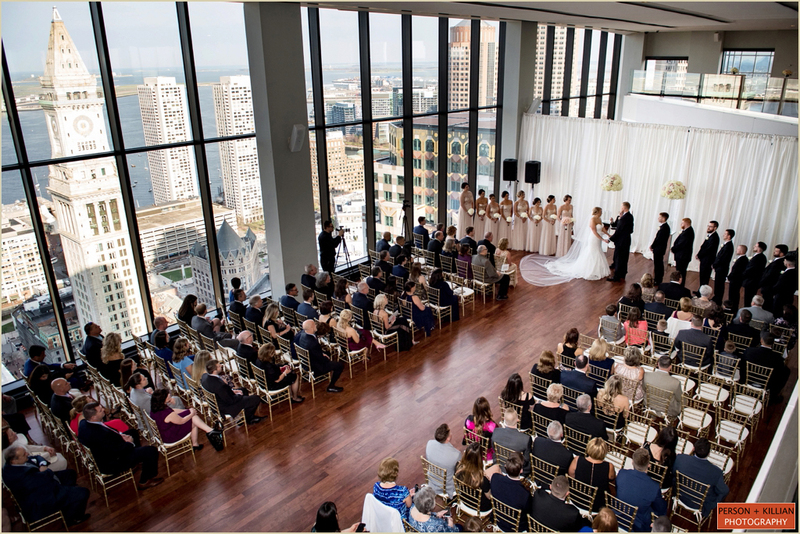 Erika and Jimmy’s wedding ceremony was held in the Great Room, which featured classic white draping, towering floral arrangements on mirror pedestals, and of course the unbeatable view of the city below. 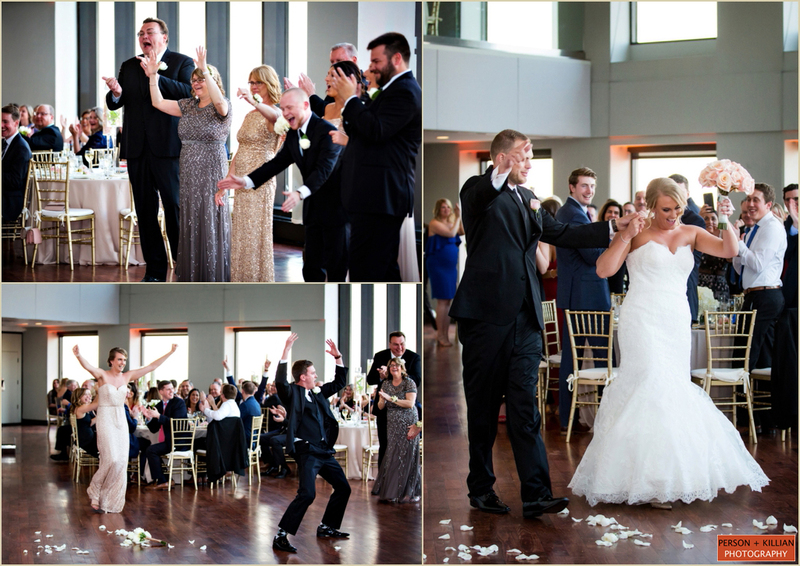 Following the ceremony, guests moved upstairs to the mezzanine for cocktails while the Great Room was transformed for dinner and dancing. 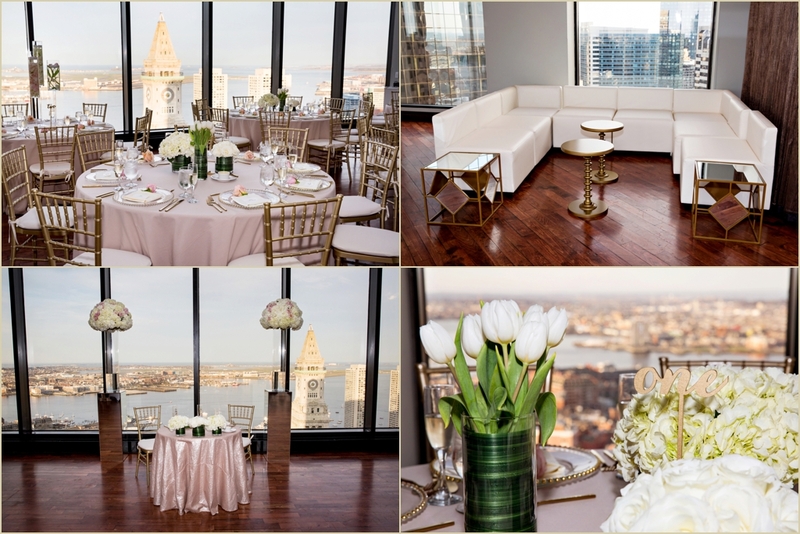 The couple chose a soft color palette of blushes, gold, and ivory — champagne linens, gold and white chiavaris and gold-accented charger plates and flatware added a touch of traditional elegance to the decor. 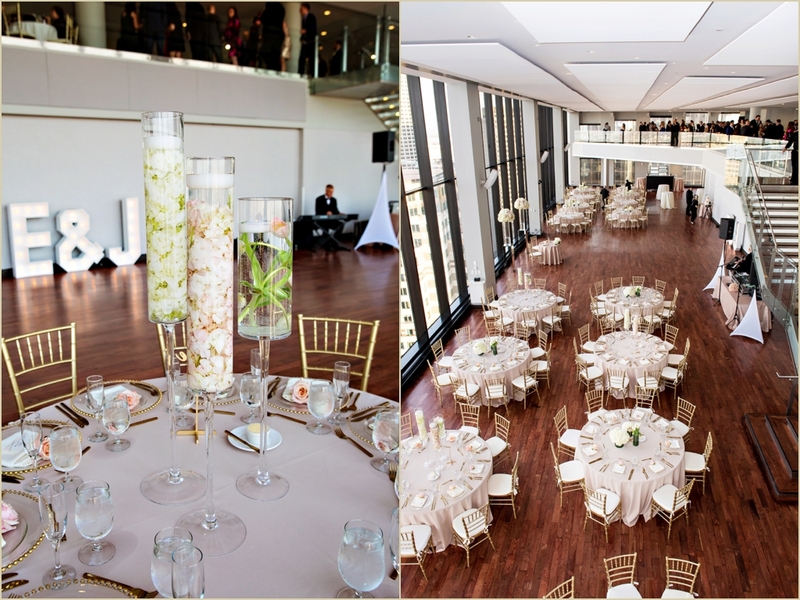 Classic white floral arrangements were mixed with modern vases filled with submerged flowers — a perfect blend of traditional and contemporary styles. 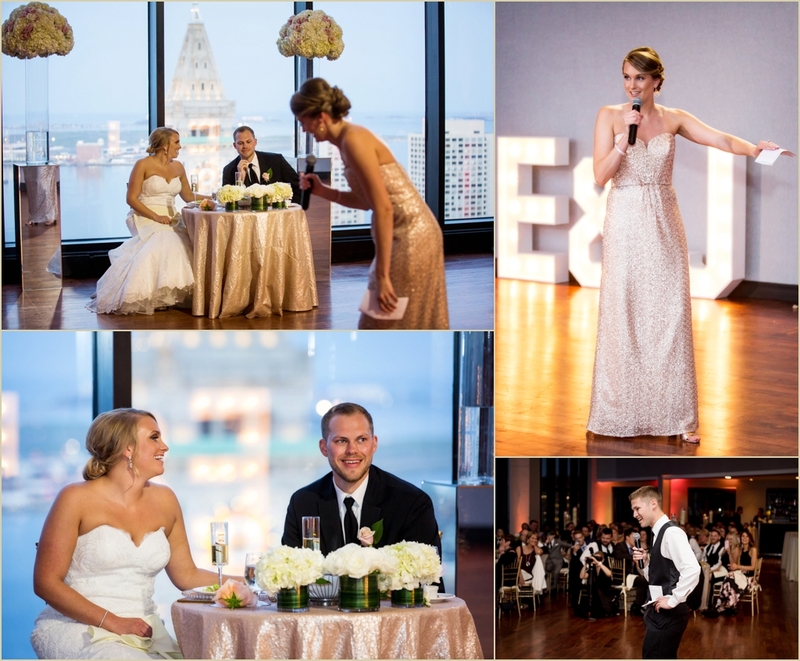 A custom set of “E & J” lights lit up the dance floor, with a modern lounge set nearby for guests to relax. 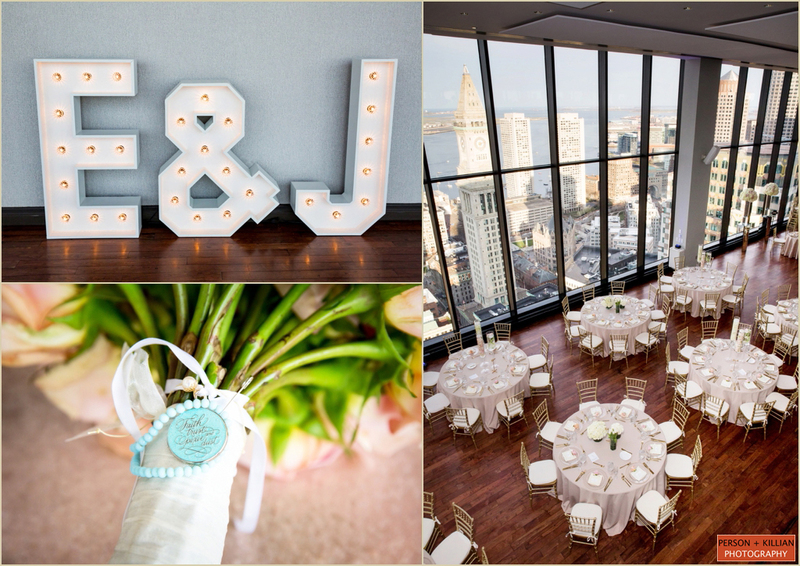 Special thanks to the entire team at the State Room Boston and to Erika and Jimmy for letting us be a part of their gorgeous spring wedding — we had a blast!